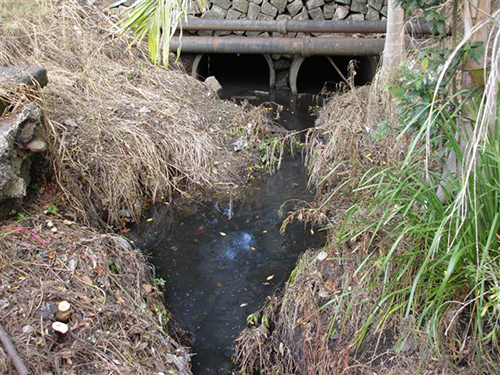 We are committing to improving the water quality of local creeks and our stormwater to protect the health of the Wilsons and Richmond Rivers. 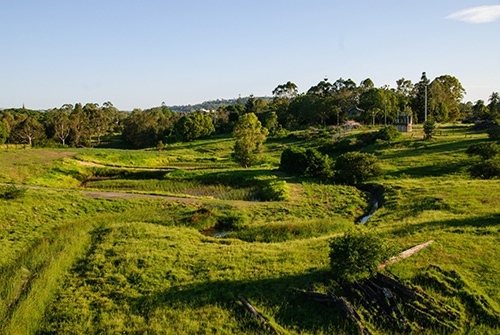 The Stormwater Management Services (SMS) charge helps pay for a range of measures from litter traps in the CBD to constructed wetlands that emulate the natural environment to filter nutrients from stormwater run-off. 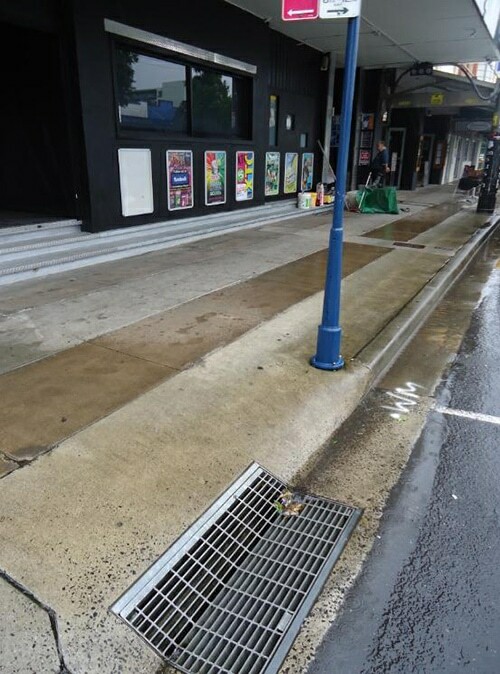 We also try to educate the community about keeping stormwater free of rubbish and cigarette butts. At Kadina Park we have constructed the Healthy Creeks Path, a colourful mural for children about the wildlife of nearby Tucki Tucki Creek, which is a rare urban haven for platypuses and other animals. In partnership with Rous Water and other regional councils, we also provide community and school education using the Richmond Brunswick Catchment Activity Model trailer. This is a 3D replica of a river catchment with a flowing river. 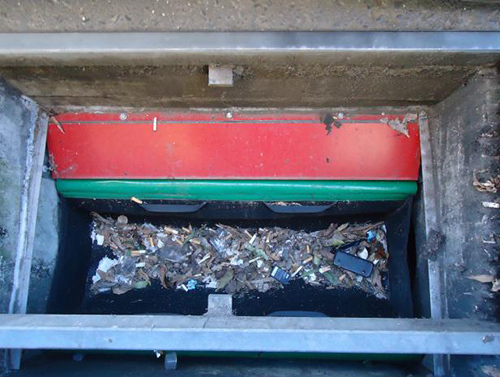 We also provide free personal ashtrays to residents to reduce cigarette butts flowing into our waterways. Below is a snapshot of recent works to improve water quality. 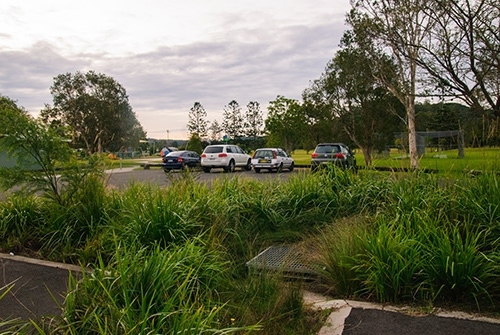 July 2011: Bio-retention system at Nesbitt Park carpark, South Lismore. Runoff from the new carpark drains into gardens where the soil microbes and plants treat pollutants including hydro-carbons. May 2013: CBD litter baskets outside pubs and clubs. 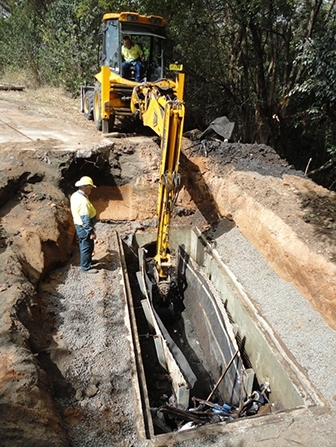 2010-2012: Gas Works Creek – restoration, head wall reconstruction and litter cages. These photos show the original culvert to the installation of a headwall and litter cages. Litter baskets trap organic material like leaves and grass clippings, and litter. They will be monitored and cleared regularly. 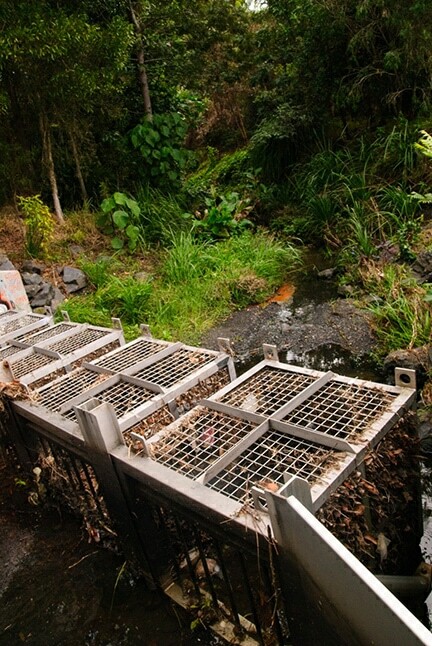 October 2013: Gross pollutant trap (Ecosol RSF 4000) replacement at Campbell Crescent, Goonellabah. A blocked and unmaintained gross pollutant trap was cleared of years of debris including a child’s bike, car tyres and litter. It is now able to do its job properly and is being regularly cleaned. 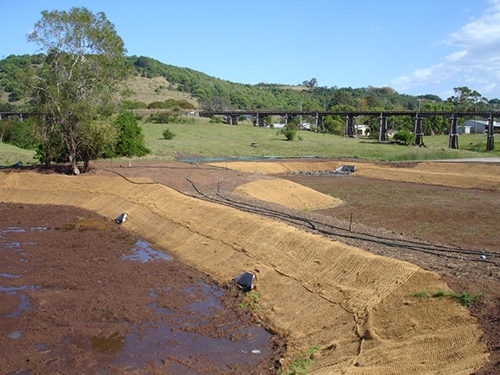 September-November 2013: Slaters Creek constructed wetland. 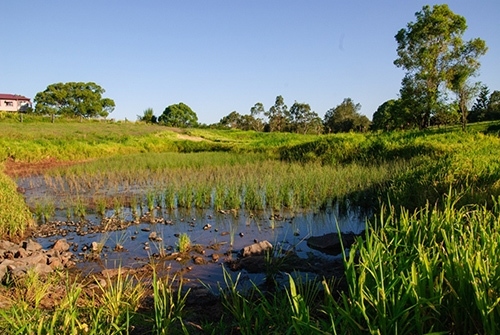 Below you can see the wetland cells excavated and planted with an irrigation system in place for dry weather period, then the reeds beginning to thrive after the first spring shower, following by the plantings flourishing some months later.